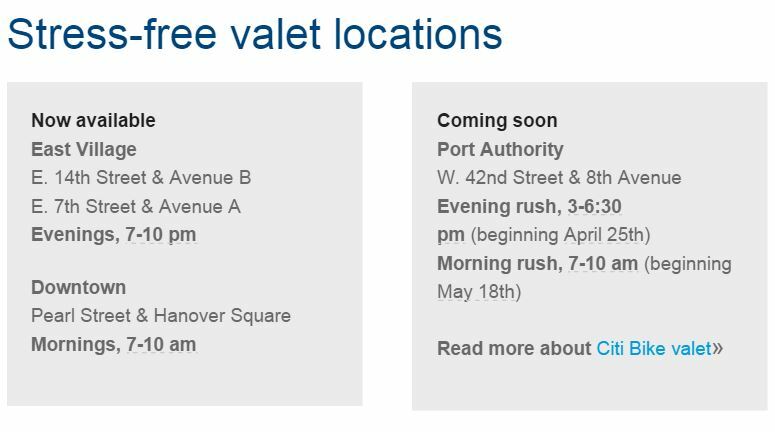 Last year, Citi Bike introduced a new valet service to maintain balance throughout the bike sharing system. Basically, the valet system worked like this: Citibike staff would man a few of the busiest stations at the busiest times around the city to receive incoming bikes from popular destination stations and moving overflow bikes to popular stations that were in need. I saw the Citi Bike valet service pop up all around me, at the station on 13th and Avenue A in the East Village as well as on 14th and B, and 14th and 1st. Throughout the latter part of 2014, Citi Bike workers loaded and unloaded the bikes into these stations to/from a medium-sized moving van. At first, I thought it was a laughable solution. A valet service, despite it being associated with an uppity service, it felt like a very basic way of fixing the problem for what was a basically a technology company. Citi Bike was putting a small band-aid on the bigger logistical problem that sullied its brand. Well, apparently the band-aid solution worked (I wonder why they don’t just expand in those neighborhoods?) that they’re bringing back the valet service with plans on expanding it. Even though the valet service accomplishes the movement of bikes from over-docked stations to empty stations, I can’t see the valet service as a long term solution for Citi Bike. Staffing up dozens of the busiest stations as the Citi Bike system grows into the outer boroughs doesn’t seem like a sustainable solution. Perhaps a better answer is to leverage the power of the Citibike users. Citi Bike has thousands of users so why not crowdsource the problem? Incentivize riders to move the bikes based on user’s location, supply and demand. Crowdsourcing isn’t new. It’s been proven to work in a myriad of industries and I think it can definitely work with Citi Bike. When the Citi Bike system is notified that a dock is becoming dangerously close to becoming full, it sends out a note to users in the immediate area. The message will arrive as a notification from the app and include an offer or discount to a Citi Bike partner in an location where there’s a Citi Bike station in need. Maybe it’s an offer for $3 off their annual renewal. Or a points system where users can redeem for discounts or Citi Bike-branded gear or it’s a screen of 9 offers that users can choose from. Citi Bike already has memebership benefits and offers so it’s we’re not re-inventing the wheel. Whatever the offer, the users only receive the benefit only if they move the bikes to one of five stations in need and have to move the bike in 20 minutes (or whatever the algorithm determines). And so that the station isn’t overrun by Citi Bikers looking for a 50% coupon from REI or 300 Citi Bike points, thus rendering the station completely empty, the offer is only limited to a certain amount of users that are first to confirm. You get the point. Citi Bike has tens of thousands of active riders, new technology, and a brand that many businesses want to be associated with, so why not leverage those to make the the system self-sufficient (and without valets)? 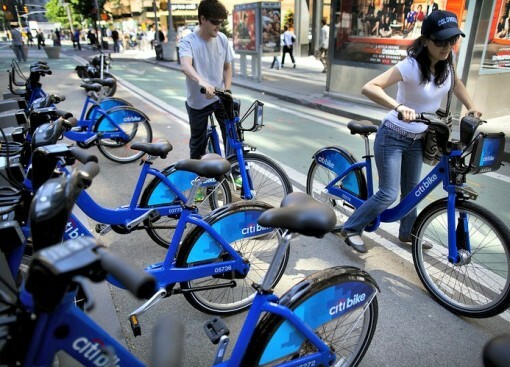 Citi Bike: System improvements and expansion coming in 2015 Is Citi Bike experiencing docking problems? Did you get the dreaded “Looks like you’ve had a Citi Bike out for a while…” email from Citi Bike?